There’s something different in the air. The hot, humid and oppressive temperatures that reached into the 90s here in New England have given way to a crisp, dry and welcome return to the comfortable 70s. I took the dog out this morning and felt a chill. I looked at broken sticks and downed branches and felt the urge to start gathering kindling. This can mean only one thing – autumn is approaching. The transition of summer to fall for me has always been a ritual of passage. The time for rest and reflection, fun and sun, gives way to a sense of moving forward, preparation for the close of another year and a need to focus on what lies ahead. Where many people wish the laid back nature of summer living could last forever, I get antsy for a return to routine. I sense it in my children as well. The body starts to need more sleep. The brain needs more stimulation. The soul needs to reconnect with friends. I often note in my presentations and workshops that the difference between change and transition is that the former suggests we must leave something behind, give it up. Transition, on the other hand, is the process of change. It is an evolution from one state to another during which we make conscious choices of what we bring and what we leave behind, what we change and what stays the same. The way to ensure successful transitions that lead to positive change is to have a clear vision of where you’re going and a plan for how to get there. Autumn is the perfect time to invest in thinking about your own transitions. • Schedule time to reflect, plan and prioritize. Sometimes all it takes is a chance to pause and figure out the priorities and the plan. Last autumn, one of my Press Pause Now participants decided her 2011 priority was to enter an original play in a highly competitive international festival. She did – and I attended one of the performances in New York City this week! • Make small changes for big results. Change happens when behavior changes. What parts of your routine can you do differently that will have an impact on your productivity, mood or stress levels? I plan to prepare my coffee the night before so it’s fresh-brewed when I wake up. Having one less thing to do will mean less stress, extra time for yoga stretches, and a hot cup of java to start the day. • Write it down. Articulate your goals, priorities and actions with thoughtful, meaningful words. Try this. Make three columns on a sheet of paper. In the left hand column, write three goals you’d like to achieve in 2012. In the middle column write three priorities for each goal. In the last column write three actions you will take to make it happen. Schedule time in your calendar to revisit this sheet each quarter. Adjust as needed. Celebrate your successes. Don’t think about this time of year as the end of summer. Think about it as the beginning of a new cycle, a time of transition to the good things that lie ahead. 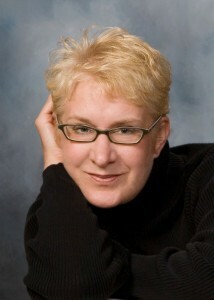 Anne Witkavitch is a communications expert, change strategist, published author and speaker. Her award-winning book, “Press Pause Moments: Essays about Life Transitions by Women Writers” was recognized with a 2011 Clarion Award from the Association for Women in Communications. Anne consults with corporations and small businesses, and offers individual and group coaching through her Press Pause Now retreats and workshops. For information and fall schedules visit her websites www.annewassociates.com and www.presspausemoment.com, or email Anne at AnneWitkavitch@comcast.net.